Activists call for a Medicare for All health care system at a rally in Los Angeles, California in February of 2017. 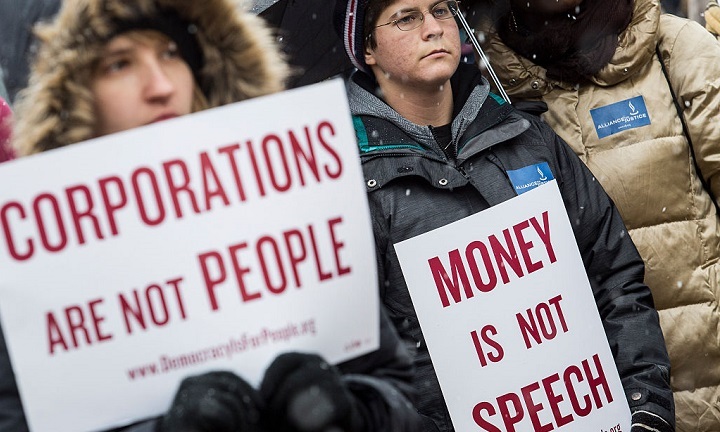 A top hospital lobbyist told a room of health care executives this week not to worry about “Medicare for All” and suggested that House Speaker Nancy Pelosi, D-Calif., won’t let the idea come up for a vote during the current Congress. “But we can’t go down any path unless you strengthen the Affordable Care Act,” she said, referring to the 2010 health care law that Republicans have sought to overturn and have chipped away at for almost a decade. Although the ACA forced insurers to cover patients with pre-existing health conditions, nearly 14 percent of American adults were still uninsured at the end of 2018, according to Gallup. Insurance premiums, deductibles, and copays have continued to increase. The U.S. spends roughly twice what other high-income countries do on health care -- with worse results. Since 2009, Pelosi has received $243,000 in campaign donations from PAHCF members’ employees, and their corporate political action committees, including $55,000 from the AHA, according to an analysis of Federal Election Commission data by MapLight and Sludge. Pelosi’s top deputy, House Majority Leader Steny Hoyer, D-Md., has received $360,000 from PAHCF members, including $50,000 from AHA, $55,000 from the Federation of American Hospitals, and $50,000 from the American Medical Association. PAHCF members’ PACs have contributed more than $1.2 million to the DCCC since 2009, including more than $190,000 from the AHA. The Council of Insurance Agents & Brokers has donated $152,000 to the DCCC, and has also given $90,000 to the committee’s "building fund." 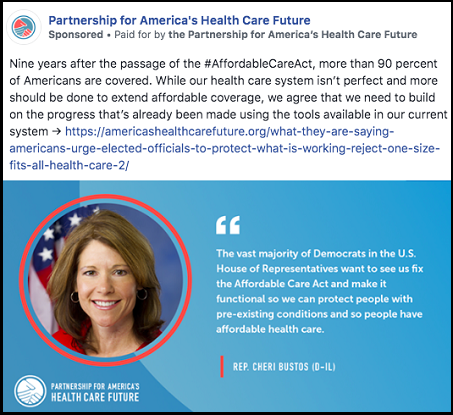 PAHCF members and their employees have also donated $76,000 to the campaigns of DCCC chairwoman Cheri Bustos, D-Ill., since she first started running for Congress in 2011. Bustos has received $34,000 from the AHA. 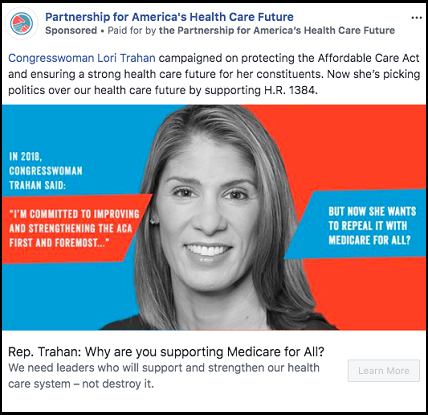 Although the DCCC recently prohibited its political consultants and vendors from working with Democratic candidates who decide to challenge the party’s incumbents, it has said nothing about PAHCF’s recent online advertising campaign attacking incumbent Rep. Lori Trahan, D-Mass., a Medicare for All supporter. 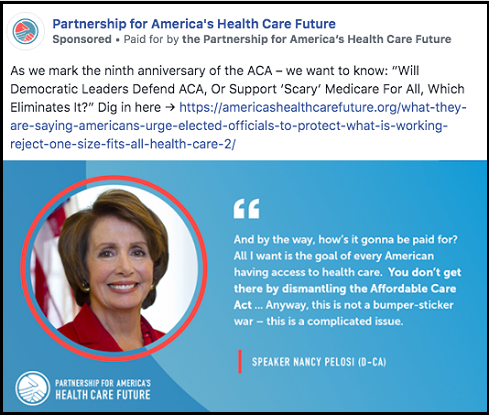 Another PAHCF ad, which ran on Facebook and Twitter, highlighted some of Pelosi’s criticisms of Medicare for All, noting that she’s asked, "How's it gonna be paid for?"